1. What is a trademark or a servicemark? A trademark is a sign capable of distinguishing the goods or services produced or provided by one company or individual(s) from those of others. A trademark can be a word, name, symbol or device which indicates the source of a product and renders a unique identity to the product. 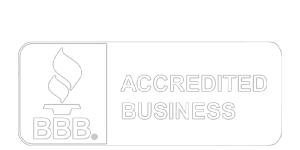 Similarly, a servicemark identifies and distinguishes the source of a service. While a Trademark or a servicemark prevent others from using a confusingly similar mark, it cannot prevent others from making or selling the same products under a totally different mark. 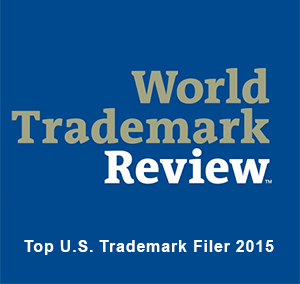 The terms "trademark" and "mark" refer to both trademarks and service marks. Trademarks are issued by the U.S. Patent & Trademark Office (USPTO). The marks can be as wide and varied as a brand name, logo, a shape, letters, numbers, sound, smell, color or any other aspect that renders a unique and distinct image to a product or service. 2. Should the marks be registered? Acts as a public notice and offers a legal presumption on the ownership as well as the exclusive rights to use the mark. 3. Can I apply for a registration of the mark without actually using it? Yes. You can file for registration on the basis of intent to use. 'Intent to Use' suggests the bona fide intent of the applicant to use the mark in commerce in future and that the mark is not in use now. If the application is filed based on the 'intent to use', the actual use of the mark should begin before the USPTO registers the mark. The applicant will have to file the 'Allegation of Use' form to establish the legitimate usage of the mark in commerce. 4. What do the symbols TM, SM and ® signifies? TM and SM stand for "Trademark" and "Service Mark", respectively, and have essentially the same legal effect. TM is used with goods or services while SM can only be used with services. By using this mark, the owner puts the entire world on 'notice' that the mark is unique and owned by him or her. It is commonly used prior to registration with the USPTO. The R in a circle symbol, ® stands for "Federally Registered Trademark" and can be used only if the mark is properly registered. A registered trademark is an intellectual property granted by the USPTO and it can be bought, sold, leased, lost, or destroyed, like any other piece of property. The registered trademark symbol ® should always be used in conjunction with the mark and the failure to do so may result in the loss of rights. 5. When can I use the trademark symbols TM, SM and ®? You can start using the TM and SM from the moment you decide to claim your rights on a mark. However, the federal registration symbol "®" can only be used after the USPTO actually registers the mark, and not even while the application is pending. The registration symbol can be used with the mark only on or in connection with the goods and services listed in the federal trademark registration. 6. What is a trade dress? 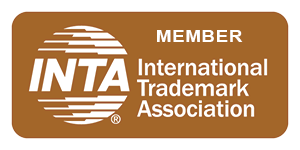 Trade Dress is the right granted under the Federal Trademark statute to protect the distinct and unique packaging of a product or service. Unlike a trademark, the trade dress cannot be listed in the federal trademark register. 7. What are the trademark related functions of USPTO? The United States Patent and Trademark Office (USPTO) conducts reviews of trademark applications for federal registration and decides whether to grant federal registration or not. 8. Do I need a trademark attorney to register the mark? Not necessarily, as you can file the application yourself. However, the services of a trademark attorney who is skilled in conducting trademark searches and familiar with the detailed procedure for trademark registration will help you enormously to save time, to ensure protection in the appropriate trademark classes and to avoid rejection on absolute. 9. Do I have to be a U.S. citizen to apply? No. However, if you do not reside in the United States, the name and address of your must appoint a "domestic representative" as part of the application process. The details of this domestic representative should be furnished as the address for correspondence when the application is filed. 10. What is Basis for Filing? 11. What is Use in Commerce? 'Use in Commerce' suggests that the mark is already being used in trade and commerce. However, there has to be a bon fide use of the mark, in the trade of goods, services or both, to claim 'use in commerce' as the basis for filing. 'Use in Commerce' for services - the mark must be used or displayed in the sale or advertising of the services and the services must be rendered in commerce. 12. What is Intent to Use? 'Intent to Use' suggests the bona fide intent of the applicant to use the mark in commerce in future and that the mark is not in use now. If the application is filed based on the 'intent to use', the actual use of the mark should begin before the USPTO registers the mark. The applicant will have to file the 'Allegation of Use' form to establish the legitimate usage of the mark in commerce. 13. How to file the application with International Agreements as the basis of filing? If the applicant qualifies under certain International Agreements, the application can be filed in the U.S. based on a foreign application or on a registration in the country of origin. The Madrid Treaty allows the holder of an International registration to file a request for extension of protection of the international registration to the United States as well. 14. What is a search for conflicting mark? The mark or a similar mark is part of a pending application for registration. The search should address the following factors to determine any likelihood of conflict with an existing mark. The commercial relationship between the goods and/or services listed in the application - the goods or services need only be related and not necessarily be the same. 15. What are the main reasons for rejection of an application and refusal to register a mark? The application can mainly be rejected on two grounds, classified as relative grounds and absolute grounds by the World Intellectual Property Organization (WIPO). In US, The Lanham Act permits only certain marks to be registered with the USPTO. Your application may be rejected on the basis of any of the following. Generic Marks – The mark uses the words that generically identify a product or service e.g. 'Pen' for a pen manufacturer. Deceptive Marks – The trademark attempts to mislead or deceive people as to the nature, quality, feature or geographic origin of the goods or services. e.g. Marketing a completely chemical based hair shampoo with a trademark that shows pictures of fruits and herbs may be rejected, as the consumers may be misled to consider the product as 'herbal' or 'natural'. Immoral or Scandalous Marks – The mark with words or illustration that goes against the commonly accepted standards of public order, morality and religion. Government's flag, armorial bearings, official hallmarks and emblems of states and international organizations – Marks featuring these are not accepted. Name, portrait or signature of a living person – A mark featuring one of these will not be accepted without their consent. Name, portrait or signature of a US President – A mark featuring one of these cannot be registered during the life of the President's widow(er), without his or her consent. Geographically misdescriptive marks on liquors. Though these are the main possible reasons for rejection, this is not a comprehensive list. 16. What is publication for opposition? Once the examining attorney is convinced about the credentials and uniqueness of your mark, it will get published in the Official Gazette, a weekly publication of the USPTO. The USTPO offers 30 days from the date of publication for any party to file an appeal against the approval for registering the mark, if it may damage their interests. The appeal is heard by the Trademark Trial and Appeal Board of the USPTO. 17. What if there is no opposition or if the opposition is unsuccessful? The application enters the next stage of the registration process. A Certificate of Registration will be issued for applications based on use, or a Notice of Allowance will be issued for intent-to-use applications. 18. What is a Certificate of Registration? If the mark is published based upon the actual use of the mark in commerce, or on a foreign registration, and no party files an opposition or request to extend the time to oppose, the USPTO will register the mark and issue a registration certificate about twelve (12) weeks after the date the mark was published. 19. What is Notice of Allowance? If the mark is published based upon the applicant's bona fide intention to use the mark in commerce, the USPTO will issue a notice of allowance about twelve (12) weeks after the date the mark gets published, if no party files either an opposition or request to extend the time to oppose. Request a six-month extension of time to file a statement of use, along with a filing fee of $150 per class of goods or services. Importantly, the USPTO will issue the registration certificate only after the statement of use is filed and approved. 20. What is an Allegation of Use? This is a sworn statement signed by the owner or a person authorized to sign on behalf of the owner, to declare the use of the mark in commerce. An Allegation of Use filed before the mark is approved for publication is called an Amendment to Allege Use and an Allegation of Use filed after the Notice of Allowance is issued is called a Statement of Use. One specimen showing use of the mark in commerce for each class of goods or services listed in the original application. 21. When to file an Allegation of Use? The USPTO will return any Allegation of Use filed in the interim period between the date of approval of the mark for publication and the date of issue of the Notice of Allowance. An Allegation of Use filed before the mark is approved for publication is called an Amendment to Allege Use and an Allegation of Use filed after the Notice of Allowance is issued is called a Statement of Use. 22. What is a Request for an Extension of Time to file a Statement of Use? This is a sworn statement signed by the owner or a person authorized to sign on behalf of the owner to declare that the applicant still has a bona fide intention to use the mark in commerce, and needs additional time to use the mark in commerce. A filing fee of $150 per class of goods or services must accompany the Extension Request. 23. Is there a deadline for filing the Statement of Use after the Notice of Allowance issues? Upon no action from the applicant within this time frame, the application will be declared as abandoned. 24. Can I make more than one Extension Request? Yes. You can file a maximum of 6 Extension Requests. The USPTO permits filing of Extension Requests every six (6) months for up to 36 months. However, you must use the mark and file a Statement of Use within three (3) years of the date the Notice of Allowance issues. 25. What happens if no statement is filed within 36 months (3 years) of the Notice of Allowance? If the applicant fails to use the mark in commerce and file the Statement of Use within thirty-six (36) months of the mailing date of the Notice of Allowance, the USPTO will not register the mark. 26. What is the term of a trademark registration? The term of a federal trademark is usually 10 years, with 10 year renewal terms. Affidavits of Continued Use or Excusable Nonuse must be filed between the fifth and sixth year after the date of registration. 27. How long will it take to register the trademark with the USPTO? You have to be patient as the completion of the registration process may take a long time. The applicant should receive a response to the application from the USPTO within five to six months from filing the application. However, the total time for an application to be processed may be anywhere from almost a year to several years, depending on the basis for filing, and the legal issues which may arise in the examination of the application. 28. Is my trademark protection in US valid in foreign countries? No. An US registration protects your rights only within the geographic territory of US. For protection in foreign countries, you need to register your mark internationally. 29. How to register my mark internationally? International registration are usually done on a on a country-by-country basis after consulting the laws of each country regarding registration. This can really be a time consuming and expensive exercise. . However, there are a few international agreements that give the benefit of multiple filings across different member countries, with the filing of just one application. This system is mainly governed by two treaties set forth by the World Intellectual Property Organization (WIPO) - the Madrid Agreement Concerning the International Registration of Marks and the Madrid Protocol. A person who has a link (through nationality, domicile or establishment) with a country party to one or both of these treaties may, on the basis of a registration or application with the trademark office of that country, can obtain an international registration having effect in some or all of the other countries of the Madrid Union. At present, more than 60 countries including the United States are party to this. 30. Can I register my domain name as a trademark? Yes, provided the domain name is used to provide a unique and distinct image and identity to your products or services. Simply registering your domain name does not mean that the domain name is protected as a trademark. 31. Is a "trademark" the same as a "trade name?" No. A "trade name" is a name an owner uses to identify his or her business and is usually the full name of the company. It normally ends with Inc., Ltd, etc. A "trademark" is used to identify a good or service a business provides. Unlike trademarks, "trade names" are not registered at the state or federal level, but with local government, primarily in the state or county in which the business operates. However, upon meeting the required criteria, a trade name can also be registered as a trademark or service mark. 32. What is the difference between State and Federal Trademarks? Trademarks can be filed at either the state or federal level. State trademarks offers protection to your mark in that specific state while federal trademarks normally protect your mark across the nation. It is always beneficial to go for a federal registration, as it gives your mark a national scope of protection against unauthorized use. 33. What if there is a trademark infringement? You will also stand a chance of being awarded monetary damages, under the Lanham Act. 34. What is common Law? In US, the right or ownership of a mark is established by the legitimate use of the mark. The term "common law" indicates that the trademark rights that are developed through use are not governed by statute. You can also establish the rights on the mark through federal registration of the mark that grants you the exclusive rights to prevent unauthorized use of your mark. 35. How to protect my registered trademark? The golden rule is to continue the use of your mark in trade and commerce. At the same time, be wary of potential infringers and counterfeiters by making sure that no one else uses your trademark. If you happen to come across any misuse, please let them know that you have already registered the mark. Consult an attorney and serve them a written notice as this would stand you in good stead, if the matter ends up in a legal battle. Be relentless in enforcing your rights in your trademark, or else you will lose your rights on the mark itself. A classic example is 'Aspirin' that lost its trademark status due to the failure of the owner in preventing others from using it. 36. How to select or create an appropriate trademark? Though there are no clear cut formulae, the main characteristics that are considered to easily impart a unique identity and image to a trademark are the ones below. Trademarks based on any of the above characteristics are considered inherently distinctive. It may be much easier to register such a trademark than ones that are merely descriptive in nature.